Hey Beauties and happy Tuesday. 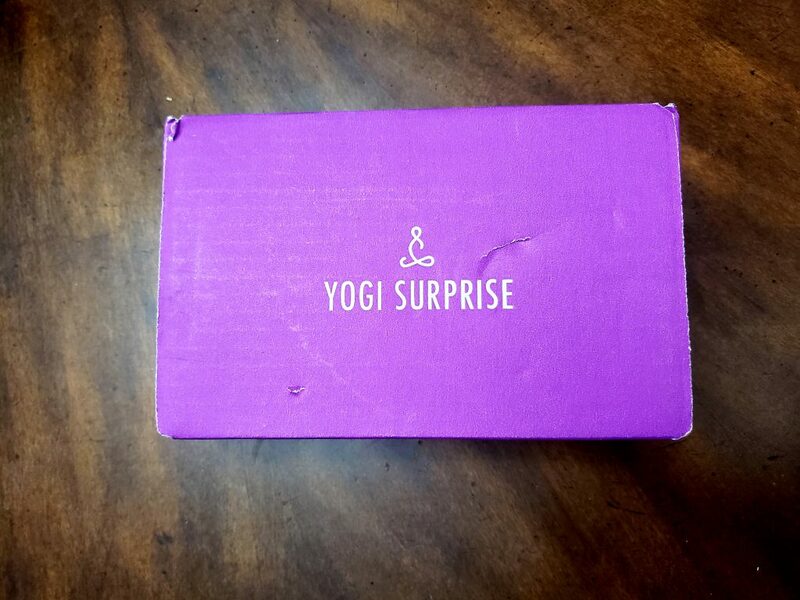 Today’s review will be on the Yogi Surprise Subscription Box. 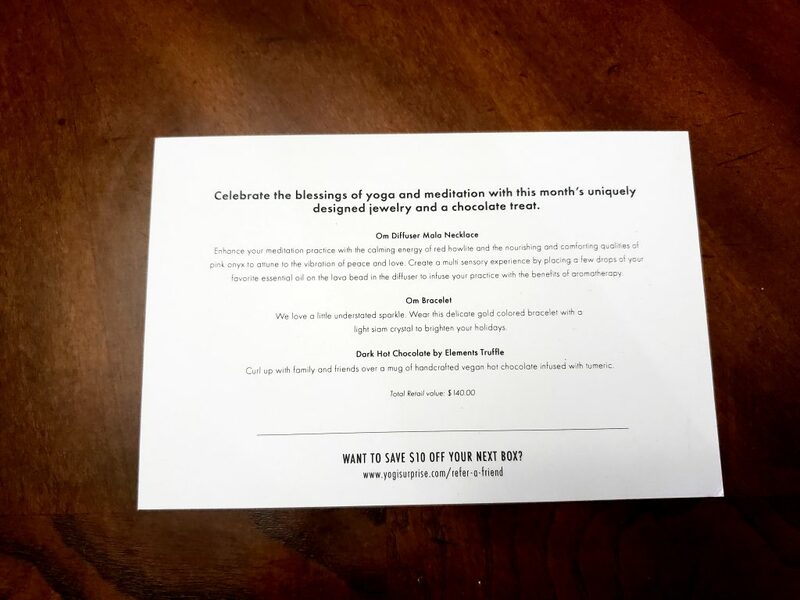 This subscription box offers three boxes which are the Yoga Box, Jewelry Box, and the Men’s Yoga Box. Not to mention they are the #1 Yoga Subscription Box out! 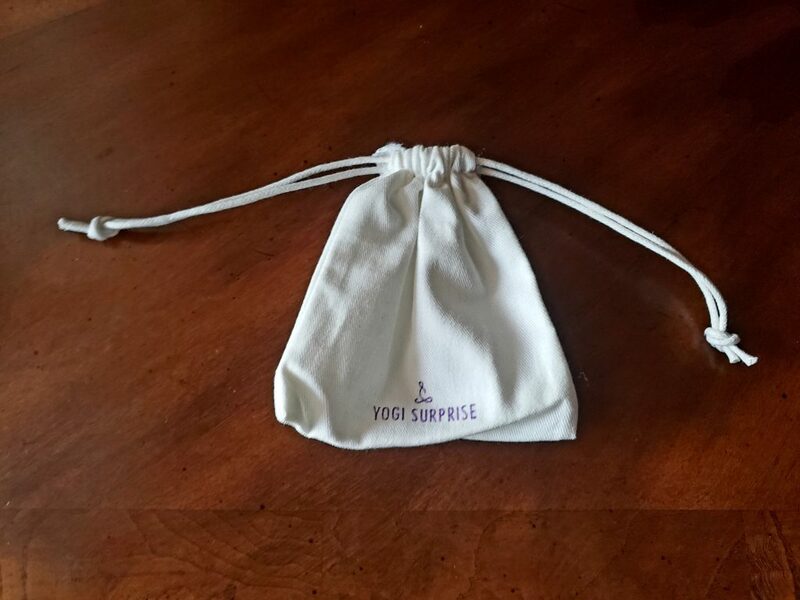 Before I get into the Yogi Surprise Jewelry Subscription Box review, let me tell you a little bit about the different boxes that Yogi Surprise offers. As I said, I’ll be reviewing the Yogi Surprise Jewelry Box and let me just say that the shade of purple that they chose for this box alone is so vibrant that will alone put a smile on your face. 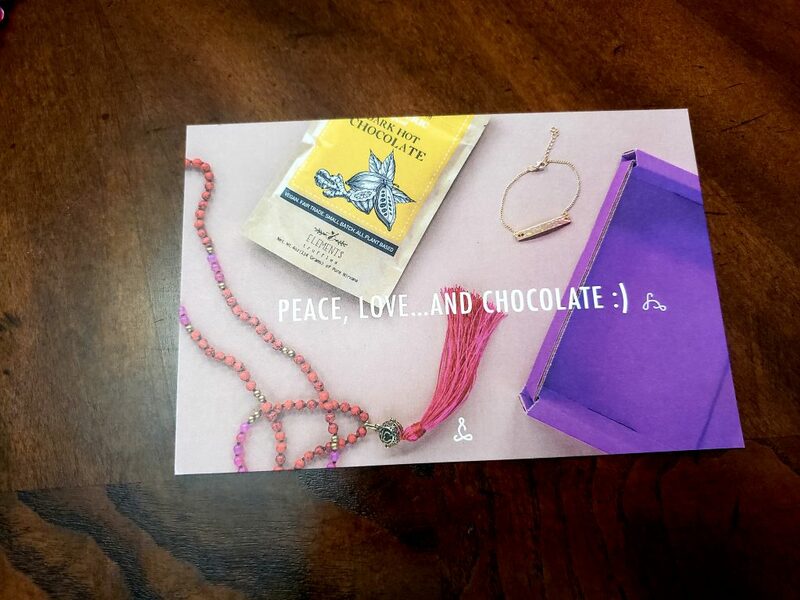 The first thing you see when you open this box is a cute little card that reads “Peace, Love…and chocolate” and a picture of the items in the box. This is so cute because if you’re missing anything in the box, you’ll know because all the items are shown on this card. Also, chocolate?!?! I was thrilled to get to the chocolate. On the back of this card shows the name of each item and a little description of it as well as the total retail value for all of the items. 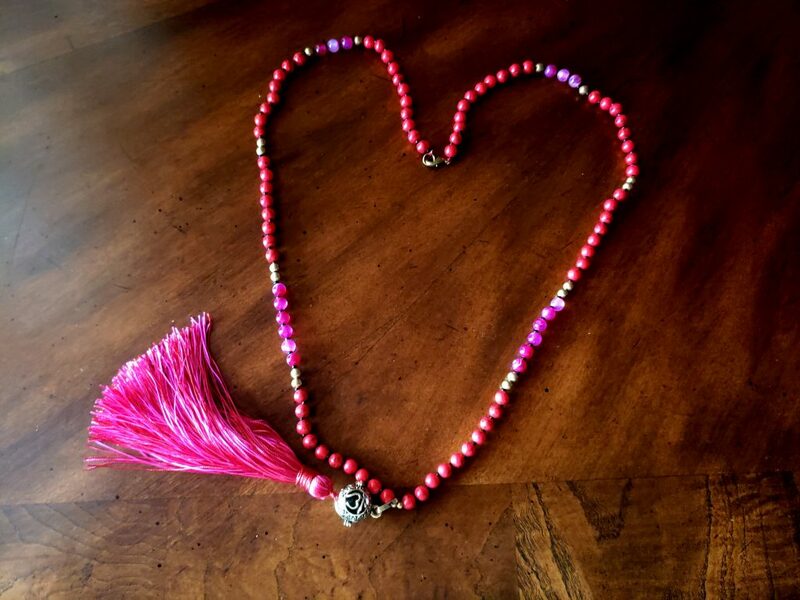 The “Om Diffuser Mala Necklace” has Red Howlite stones and Pink Onyx. Red Howlite stones create a calming energy and Pink Onyx is supposed to be comforting to promote peace and love. You can also add a few drops of your favorite essential oil on the lava bead in the diffuser for a little bit of aromatherapy. It also looks adorable as a fun touch to your workout outfit. It’s also a beautiful piece to have around your home as a beautiful decor and it’ll radiate peace and love to any room. It would also be great to put in your car so when you add a few drops to the lava bead in the diffuser, it’ll leave a soothing scent when you enter your car. This is such a dainty piece. I love the subtle gold color of this bracelet and it has a light Siam crystal on it. According to the card, “a light Siam crystal to brighten your holidays” which is so cute. 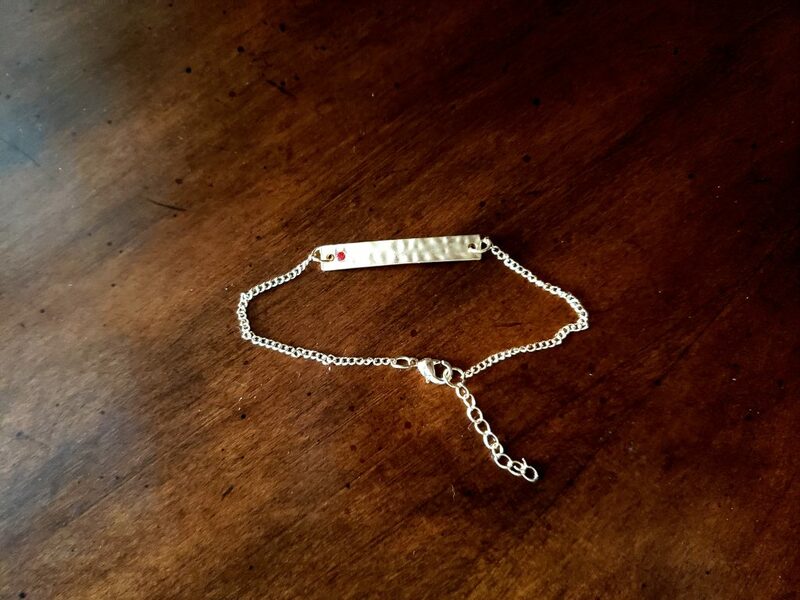 I’ve received so many compliments on this bracelet because of how simple and cute it is. I wear this bracelet every day now and I love it. Both the Om Diffuser Mala Necklace and the Om Bracelet came in the cutest little drawstring bag which I love keeping the necklace in so the tassles at the end of the necklace doesn’t get tangled and ruined. The drawstring bag isn’t made of a cheap material either, so it will last quite a while. Florida has been in the ’50s lately, so I’ve been loving warmer drinks. 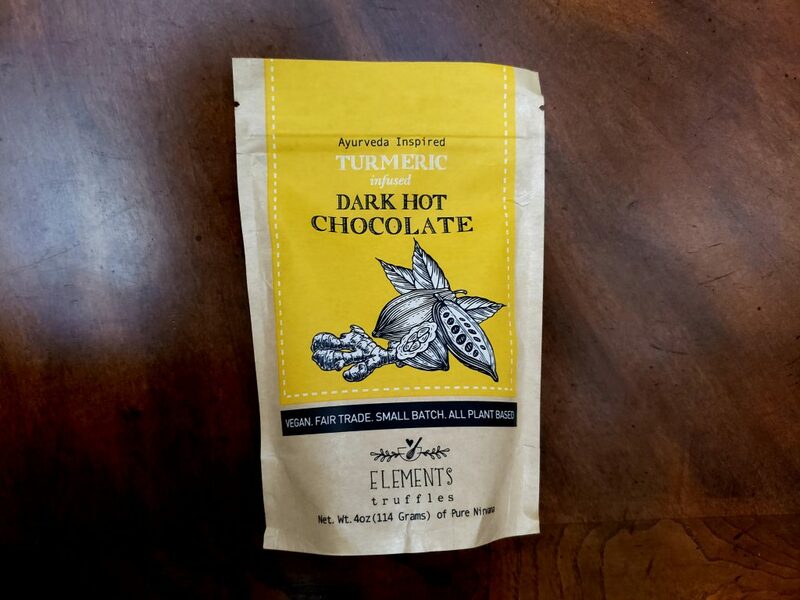 I already have an obsession with hot chocolate, but this Turmeric infused Dark Hot Chocolate took my obsession to the next level. 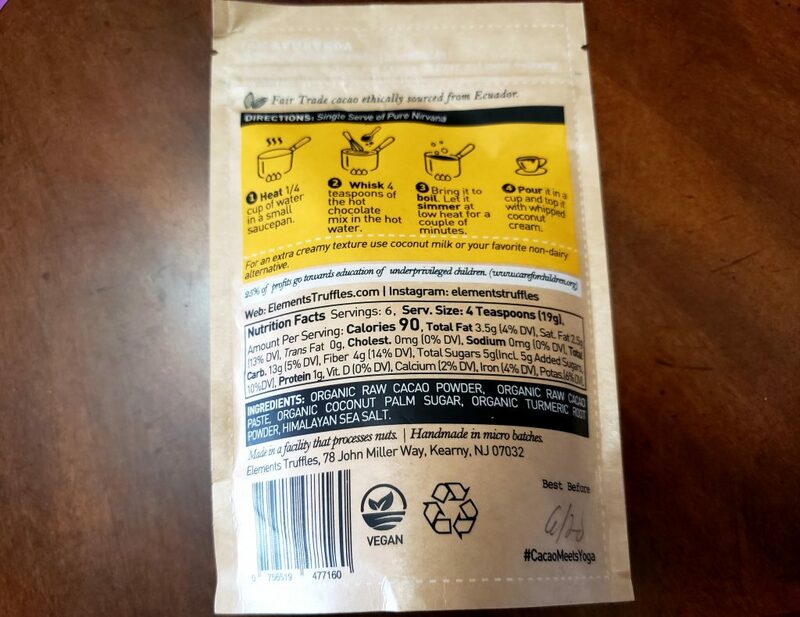 If you’ve never tried turmeric before, it has many benefits and being that it’s infused in this hot chocolate gives you a great excuse to try it! You won’t feel guilty either because all of the ingredients in this drink are organic and it’s also vegan which is awesome. If you are not fond of dark chocolate because of the bitterness, I suggest following the recommendations on the package and add a bit of coconut milk or top it off with coconut whipped cream. It’ll add tons of sweetness to your drink. The total retail value of the items in this box is $140 which is mind-blowing considering it’s only $24.99 a month and you don’t even have to pay for shipping.